This Meike MK-XT2 PRO battery grip comes with a shutter release button to make vertical shooting a breeze because you no longer need to twist your wrist to press the shutter release button on your camera. 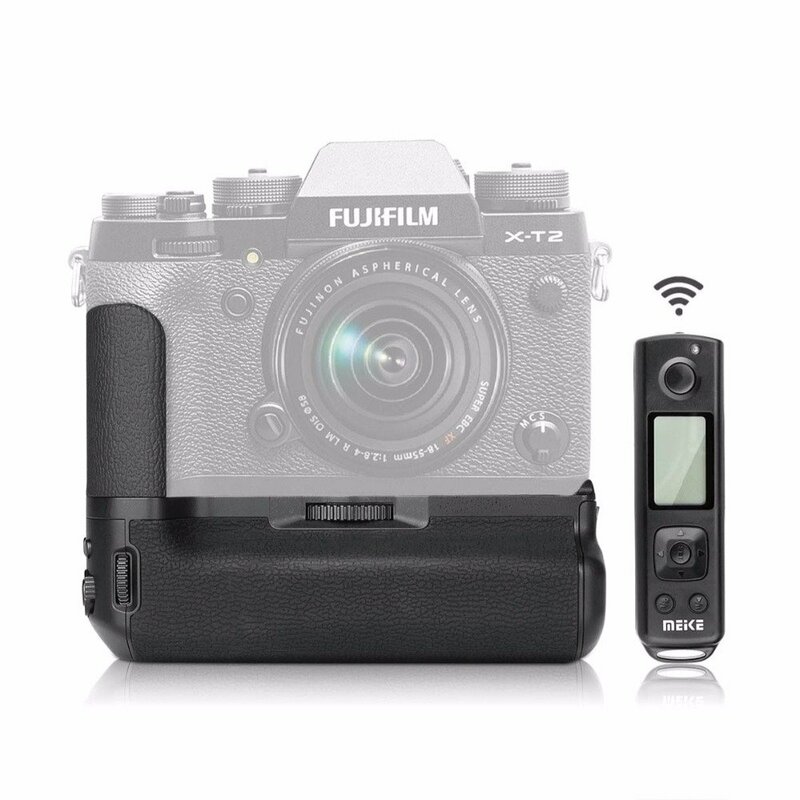 The battery grip also features a AFL (auto focus lock), MF (manual focus), AEL (AE lock), front and rear thumbwheel adjusted functions, Q camera fast set button, Fn Combined function buttons,two-wheel dials and a joystick, you can access everything while holding your camera vertically. To top it off, the Meike MK-XT2 PRO battery grip features boost mode, micro USB charging port, a 3.5mm audio jack and control by a normal-boost switch. Power source: 1 or 2 fujifilm np-w126 lithium ion batteries (Batteries are not included). The Meike wireless remote controller is powered by 2 aaa batteries (Batteries are not included).The timer remote controller can set delay time, exposure time, time interval and number of shots.